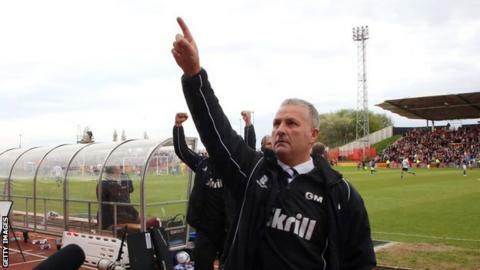 Wrexham have had an official approach accepted to speak to Gateshead manager Gary Mills about becoming their new boss. The Dragons sacked Kevin Wilkin in March 2015. Mills, 53, led York City to the FA Trophy and promotion to the Football League in 2012 and took over the Tynesiders in September 2013. Gateshead finished third in the Conference in 2013-14 and lost the play-off final 2-1 to Cambridge United.